Paintings, graphics and sketches by the recognized and productive, Greenlandic painter Frederik ‘Kunngi’ Kristensen (b. 1952) are exhibited side by side in one single exhibition. With the exhibition ’Kunngi and his artistic methods’, Nuuk Art Museum wants to show Kunngi’s artworks in a new light than hitherto. Colourful non-figurative paintings will live up the white walls of the museum, while a number of Kunngi’s early graphic works and sketches will fill out the room – many of which have never been shown to the public until now. In this way, the visitors are invited to get an insight into Kunngi’s methods from idea to finished artwork, and they can discover and find links between sketches, graphics and canvas paintings. Kunngis artistic universe grows from a multitude of small sketches on scraps of paper and envelopes. Most often the abstract works pay attention to the geometric shape of the square. Kunngis ongoing exploration of the square plays with the creation of space, surfaces and new ways to combine the elements. Kunngi tries to break down and change the square, and he has a systematic approach to the use of colours: When painting, Kunngi chooses two out of the three primary colours – red, blue, yellow – which he uses in different mixtures in the painting. The third primary colour is hidden. 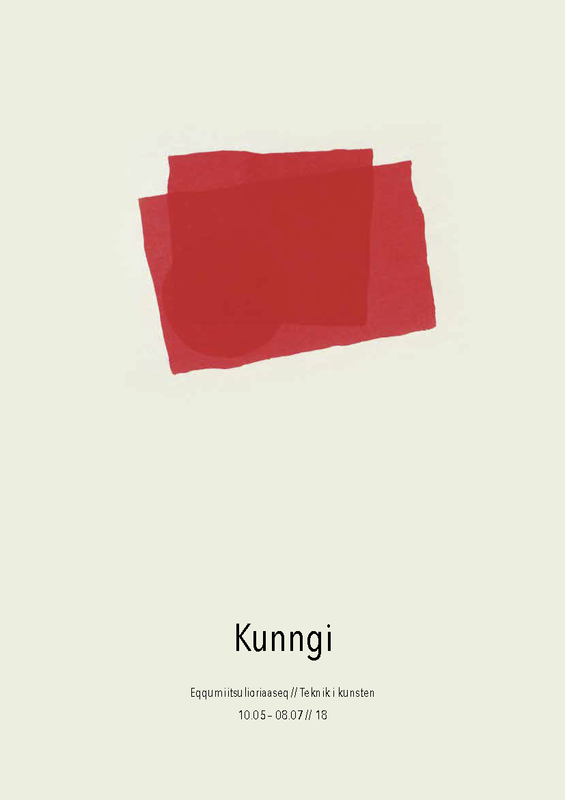 Kunngi works with powerful colours, and as he himself says, the colours give the paintings their powerful impact. At the exhibition opening of ’Kunngi and his artistic methods’ at Nuuk Art Museum, Frederik ’Kunngi’ Kristensen himself will be present, and a choir will perform songs written and composed by Kunngi himself. Futhermore the mayor of Kommuneqarfik Sermersooq, Asii Chemnitz Narup, will hold the opening speech. All interested are of course welcome! The exhibition will be displayed until Friday the 8th of July 2018.